As a nurse educator, you know that designing effective learning strategies in not a "one size fits all" endeavor. Attend this exciting seminar and take home creative teaching/learning strategies that can be implemented immediately in your own teaching practice. Learn must-know strategies for any teaching situation in the classroom, clinical or lab settings. This seminar is designed for nurse educators at all levels including college professors, staff developers, nurse preceptors, and patient educators. You will not want to miss this opportunity to add to your teaching toolbox. We invite you to spend a day with Theresa Puckett, an experienced and innovative educator whose energizing and interactive teaching style will enhance your understanding of active teaching/learning strategies. 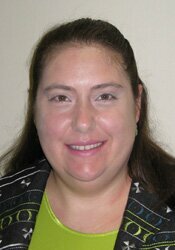 Theresa will demonstrate stimulating and progressive approaches that will produce positive and lasting learner outcomes. There will be multiple opportunities to experience these proven strategies first-hand. Come ready to participate! Discuss one approach to designing learning strategies. Demonstrate three ice breakers/team building activities that can be implemented in teaching practice. Summarize five active teaching/learning strategies for lecture. Examine ten website resources for nurse educators. Explain three ways to make assignments meaningful in the real world. Identify five active teaching/learning strategies for the clinical setting. Identify five active teaching/learning strategies for the lab setting. Theresa Puckett has experienced many opportunities to develop and refine communication strategies while a charge nurse at the Cleveland Clinic, a nursing supervisor at Laurelwood Hospital and Nursing Program Director at Bryant & Stratton College, Akron campus. She recognizes that effective communication takes practice and is directly related to results. Theresa earned a BSN from Ursuline College, MSN and PhD from University of Akron. She has presented at several national and state conferences and is known for her engaging presentation style. She looks forward to sharing many creative and useful communication strategies that will immediately impact your own work setting! Financial: Theresa Puckett has an employment relationship with University Hospitals Richmond Medical Center; Euclid Hospital, Lutheran Hospital Cleveland Clinic Foundation; and Stark State College. She receives a speaking honorarium from PESI, Inc. Non-financial: Theresa Puckett is a member of the American Nurses Association; American Psychiatric Nurses Association; and American Psychological Association.